FRANCE has decided to sanction Pakistan-based terror outfit Jaish-e-Mohammed’s chief Masood Azhar “at the national level”, hereby freezing his assets, just two days after China blocked Azhar’s listing as a global terrorist at the UN Security Council. 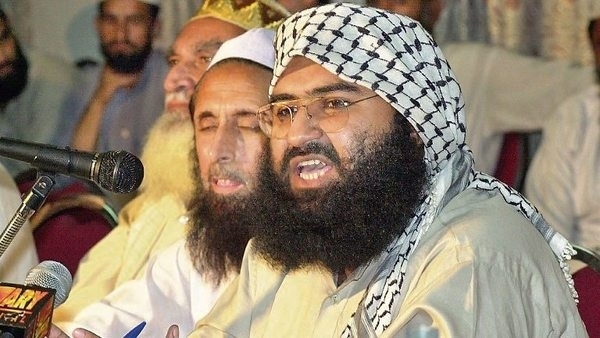 For the fourth time in the last ten years, China, on March 13, put a technical hold on a proposal by the US, the UK and France, among others, to enlist Pakistan-based Azhar as a global terrorist at the UNSC, despite his outfit carrying out the ghastly Pulwama terror attack. “France has decided to sanction Masood Azhar at the national level by freezing his assets in application of the Monetary and Financial Code. A joint decree of the Ministries of the Interior, and Economy and Finance was published today in the Official Gazette,” a release issued by France noted. “A deadly attack took place in Pulwama on Feb14, 2019, claiming over 40 victims from the Indian police forces. The JeMhas claimed responsibility for this attack... France has always been and always will be by India’s side in the fight against terror,” statement outlined. “We will raise this issue with our European partners with a view to including Masood Azhar on the European Union list of persons, groups and entities involved in terrorist acts, based on this decree,” the note stated. INDIA has secured unprecedented support from the international community for listing Pakistan-based terror outfit Jaish-e-Mohammed’s (JeM) chief Masood Azhar under the UN Sanctions Committee, External Affairs Minister Sushma Swaraj said on Friday. Swaraj also gave a strong rebuttal to those who labelled Azhar’s listing under the UN Sanctions Committee as a “diplomatic failure”. “I have shared facts with you so that leaders who describe this as our diplomatic failure may see for themselves that in 2009, India was alone. In 2019, India has worldwide support,” she tweeted. “In 2009, India under the UPA Government was the lone proposer. In 2016, India’s proposal was co-sponsored by USA, France and UK. In 2017, USA, UK and France moved the proposal,” Swaraj tweeted. She outlined that the latest proposal to designate Azhar as a global terrorist enjoyed the support of 14 of the 15 UN Security Council members. Swaraj’s statement comes on the same day that France sanctioned Azhar at a national level and froze his assets while showing its complete support to India following the Pulwama terror attack where India lost 40 CRPF personnel.